Not so very long ago I would have run an absolute mile if someone had suggested getting together with other people with diabetes. Biscuits and smalltalk among a group whose only common factor is a condition we all wish we didn't have? Er, no thanks. Death by PowerPoint covering "What food I think you shouldn't be eating" by someone who hasn't been living with my diabetes for 20 odd years. Hmmmm. But the times, as Mr Zimmerman is keen to point out, are apt to change. Yesterday I spent a very pleasant evening at the Bristol County Sports Club with a dozen or so others considering whether it might be quite nice to have a support group in the centre of Bristol. The fine folks in the regional office of DUK South West have people whose job it is to see if they can't get us all together once in a while and a new group in the city centre is being considered. 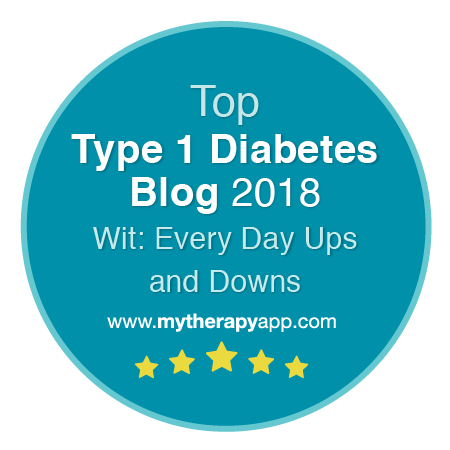 Having spent nearly 20 years flying solo as a diabetic, this blog pretty much covers the period during which I have begun to compare notes with others, both here, on a variety of forums and by extension, at occasional get togethers in real actual living and breathing life. The very thing that I would have run from for all those years has become a very real source of support, encouragement and information - both online and in person. Earlier this month I wrote a guest post for Diabetes UK as part of Diabetes Week in the UK about the huge value (and frustration) of making very different sorts of diabetic connections. If you are still flying solo I encourage you to seek out some diabetic connections of your own - either online or in person. What I found interesting last night was that although there were, I think, rather fewer there than the organisers had hoped for, we pretty much managed to cover all the bases diabetically-speaking: Two healthcare professionals, several type 1s, several type 2s, a couple of representatives of Diabetes UK, some newly diagnosed, some with decades of diabetic living, representatives of both 'Team Pump' and 'Team MDI' (including a woman who must surely be one of the first pump users in the UK with more than 13 years under her belt). Even more interesting was that people seemed more interested in just comparing notes and having 'a bit of a chat' than in necessarily having any kind of formal presentation/speaker. And as always seems to happen - once you put a bunch of people with diabetes in a room you just can't shut them up! If you live or work in or around Bristol and would like to be kept informed about any future developments/meetings for this group please leave a comment below or contact Emily or Musetta from the South West office of Diabetes UK. They'd love to hear from you. Apologies in advance for this really very dull, slightly ranty post on the intricacies of the user-interface on the Medtronic Veo. I've been having a fairly turbulent time with the old 'goalpost chasing' diabetes game recently. For a month or two my BG averages were climbing... then I hit a patch of a few more lows than usual. At the same time I was in the run-up to my first ever Pump Clinic (which is tomorrow, more on that later) so I was preparing with a few basal tests. These confirmed what I knew already. My basal requirements had shifted. Again. Actually it seems they had shifted several times in opposite directions, and I was still playing catch-up. This is nothing new of course, it happened to me all the time on MDI too. Before I came across the technique of 'basal testing' I would have attributed these chaotic readings as 'diabetes randomness'. These days, when meal doses and corrections start misbehaving for no apparent reason, a basal test is often my first port of call. With Artoo by my side I have the wonderful ability to quickly try a general raising or lowering of basal even before I have the opportunity to run a proper, detailed basal test. Illness is another time when these Temporary Basal Rates (TBRs) really earn their stripes. For a period of a few days, you might need 10%, 20% or 30% more basal than 'normal'. For a period of a few days. I'm not sure what the fine folks at Medtronic think people will use a TBR for, but it doesn't seem that they have considered that option. Well some of them clearly have, because you can set a TBR for up to 24 hours on the Veo. But... Inexplicably, someone decided that the pump should 'warble' at you every hour, day and night, that a TBR is set. If you set it to vibrate it makes several long buzzes. If you set it to short bleeps it's a series of three little 'pips'. Day and night. 24 hours a day. To tell me something that I already know. I have taken to wrapping Artoo in bubblewrap overnight to try to save Jane's sleep (I can sleep through anything, Jane is not so lucky). That pip-pip-pip is the only warning sound I get. If I glance at the pump screen there is a hollow circle too (I'll come back to that), but after, say 12-48 hours of illness/TBR you phase out the hourly pip-pip-pip during the day. If during that time you got a 'no delivery', 'low reservoir' or other alarm you would not even think to check what it was because your pump is just intermittently bleeping through the day anyway. Now continuing with illness as an example... during that time you might generally need more basal, so you set a TBR at 120% for 24 hours. Then you do some activity (gardening? alligator wrestling? route march?) which in your experience usually needs a basal reduction. So now you want set a different (lower) temporary rate for a few hours, then return to your 120% TBR for illness (are you still with me at the back?). What you really want, is to be told when the TBR finishes, so that you can take action then and readjust. But your TBR will end with not so much as a bleep or warble. Nothing. The only time I want Artoo to tell me about a TBR (preferably with a different sound to the more 'serious' alerts) and he stays entirely silent. The TBR chime is SO unhelpful. It contributes absolutely nothing to the pump user, and actually can potentially obscure/conceal a 'real' alert. I have no idea what is it doing there. To add insult to injury, however loud those TBR warblings seem to be at 3am, they are pitifully quiet during the day. As a back-up notification on the Veo, there is a hollow circle at the top of the screen that tells you that an 'alert' condition exists. If it's very serious (eg the pump is in Suspend and no insulin is being delivered) this circle is filled with black. This means that at a glance you can see if there is any kind of problem with pump delivery. Very useful you would think... Sadly, again the overlap between 'alert' and 'condition' lets Artoo down. I can choose between up to three basal patterns. Currently I have them set for 'weekend' (waking later) and also for roughly 120% of normal which seemed to be where I settled during the holidays when gym visits fell away. When I'm on 'normal' I can check for the end of a TBR (or another alert for that matter) by looking for the cicle. But... the hollow circle is also used to show 'different basal pattern'. So basically during any weekend or holiday period the circle shows all the time on Artoo. And is therefore useless. Now don't get me wrong. I think the Veo is a brilliant piece of kit. It is very easy to use and superbly intuitive. Oddly that makes these very strange/illogical/unhelpful UI decisions even more irritating. So please, please, PLEASE! Medtronic, when you revisit the next version of the Veo: No pointless hourly TBR twittering (or at the very least make it optional so users can turn it off overnight). A different alert sound to identify the end of a TBR. A tiny 'A' and 'B' in a corner of the screen to denote alternate basal patterns. Oh, and the option to increase the volume of alerts so that they can be heard outside of a monastery/library setting would be very helpful too. Apologies for the recent flurry of posts. It's been one of those weeks! Last night I watched the first of the BBC's 3-part documentary 'The Men Who Made Us Fat' (available for the next three weeks on BBC iPlayer). I had been eagerly awaiting the programme since reading an article in the Guardian that someone tweeted a link to (thanks Louise!). It makes me wonder if this is the year that people will look back on in the future as a real turning point in the public's understanding of the obesity crisis. This programme, the article and several others in the media in recent weeks are finally focussing on factors other than saturated fat when talking about problems with the modern western diet. The programme focusses on the decisions made in the US in the 1970s which profoundly affect the current mainstream thinking on dietary health and what we eat today. Decisions which in the end seem far more based on economics and agriculture than health. I can't pretend to be any kind of expert on these things, having only a passing interest, but it was amazing for me to listen to a programe that (for once) did not just bang on about fat in the diet when talking about the western world's weight problems. Unsurprisingly Ancel Keys influence on the subject was covered. He, famously, took against saturated fat. According to the programme, on a trip to the UK in the 1950s he began to believe that saturated fat was at the root of the major health issue of the time - heart disease (cue grainy black and white pictures of toothy children scoffing fish and chips). He then set about proving his theory. I have heard the name Ancel Keys many times before. I have seen his work vilified and passionately defended on several diabetes forums. Sadly, in the end I don't think it matters what he actually said or wrote at all. His proposals seemed to be based on a mediterranean-style diet with plenty of fresh veg and olive oil and only moderate carb intake. What happened is that when it came to the question, "What is causing all this heart disease, fat or sugar?" the incredibly powerful industry lobbyists had their scapegoat. Saturated fat became the enemy. There was no 'saturated fat' lobby. No specific industry to protect or promote. The incredibly powerful Sugar Association in the US (powerful enough it seems, to prevent the World Health Organisation from setting a maximum limit on recommended sugar consumption), and the political might of the US agricultural industry swept everything before them. The portions got bigger... The stuff we ate got sweeter (sometimes with lovely shiny 'low fat' labels)... The snacks were more relentlessly available... and our self control was, frankly, not up to it. I'm not (quite) cynical enough believe that the soft drinks/processed food industry chose the cheaper corn syrup/glucose-fructose syrup/HFCS as sweetener of choice knowing that it turned off leptin, the chemical in your brain that tells you when you've had enough to eat. I don't think the fast food giants and food manufacturers cared about anything other than increasing their market share and selling more and increasingly refined and processed products. Having said that, it was with horrifying inevitability that the spokesperson for the US soft drinks industry said that she did not believe her industry's products had anything to do with the crisis in the western world's waistlines (despite being the single largest source of calories in the US diet). For the last 40 years we have been told that fat is the enemy, saturated fat in particular. Carbs are good. Fat is evil. Attention is now finally veering towards sugar. And if you consider the 'Tsunami' of glucose that hits the bloodstream when eating sugary foods to be a bad thing, then perhaps it is worth reflecting that many of the things I have been told are 'starchy' and 'slow release' have proved anything but under examination from my blood glucose meter (even with the benefit of modern 'fast acting' analogue insulins to tame them). I'm not some kind of be-sandalled ultra low carb evangelist. To be honest I have profound reservations about the extremes of viewpoint in any kind of discussion. But in a world where people with type 2 diabetes (essentially an intolerance to carbohydrate) are continually told that they must base every single meal they eat on the very substance which most rapidly raises blood glucose and threatens to fry their eyes, feet and kidneys it was refreshing to watch a programme that raised serious questions about our addiction to carbs in general and sugar in particular. At the risk of sounding like my parents - once again it seems that 'moderation' is the blindingly obvious, crushingly simple answer. The next edition of the programme considers ballooning portion sizes. I can't wait! Are you 'Type 1 Aware'? As part of Diabetes Week in the UK, D charity heavyweights Diabetes UK and JDRF have launched a brilliant video which asks the question 'Are you Type 1 Aware'? It focusses mainly on those who develop type 1 diabetes in childhood and clearly explains the very obvious symptoms which are all too easy to ignore and/or be dismissed by busy GPs as parent paranoia. Having been diagnosed in early adult hood I know myself that it was several months of feeling really rotten before I finally decided I should go and get myself checked out by a GP. Alarmingly some of the parents in the video share how close to death their children were before they were finally properly diagnosed. Please share this video with your family, friends, parents, teachers and anyone you know who works with children or young people. You could save a life. Way back when this blog was just beginning Jane wrote about the lack of support offered to families and partners of adult diabetics. Quite rightly there seems to be support available for parents of children with diabetes, but for those diagnosed in adulthood there seems little in place in terms of help and education unless partners, spouses or carers are able to push their way into appointments with the patient. It seems that bastion of high street chemistry Boots is trying to change that, at least for the families of people living with type 2 diabetes. Research undertaken by Boots and supported by, among others, Dr Katharine Barnard, Health Psychologist and Senior Research Fellow at the University of Southampton suggests that families could be pivotal in supporting and motivating someone with type 2 diabetes, who at the very least should have access to good information about how their diabetes is treated and what sort of checks they should be receiving. With 80% of the NHS’s 9.8 billion annual UK diabetes bill being spent on treating complications*, mobilising the wealth of latent support represented by these willing family members could prove a powerful weapon in better management of Type 2 Diabetes and in improving lives. Eight in 10 (81%) family members say they’d use extra support if it were available which is why Boots UK has launched a new Diabetes Information Service that not only provides support for people living with the condition, but also valuable advice and guidance for their families to help them start having better conversations. I get a bit nervous when these kinds of organisations start wanting to dish out advice to people with type 2 diabetes. Partly because I see so many people on internet forums who have a terrible time coping with their type 2 based on some of the questionable advice they get from their healthcare professionals! There was also a fairly disastrous campaign by Lloyds recently which provoked quite a lot of disquiet among diabetics by failing (as is often the case) to properly differentiate between types of diabetes. I really hope this initiative goes well. A family which understands the crucial role carbohydrates play in the management of type 2 diabetes is less likely to say, "Oh surely that won't matter?". A family that understands how difficult type 2 can be to control is less likely to think, "It's only diabetes, just take a tablet and carry on as before". A family which all eats the same diet together make it easier for the person with diabetes to stay on the wagon. A family that understands the potential consequences of poor control will be better at motivating their loved through the dark days. I haven't had a chance to see the Diabetes Information Pack, and have only briefly looked at the the information on the Boots WebMD website. Thankfully I didn't see much evidence of the usual "people with type 2 diabetes must eat lots of starchy carbs" nonsense, but I can't guarantee it isn't there lurking in the shadows so be wary. Encouragingly they also suggested that self-testing is important in the management of everyone with diabetes (well they do sell the equipment after all). If only we could get GPs around the country to feel the same way. If you have a family member with type 2 diabetes how able do you feel to offer support? Comments please! Diabetes is, for want of a better word, *incredibly* annoying. I can’t really comment on the vagaries of type 2 – though I have read enough comments from people trying to wrestle their type 2 control into submission to realise that it is at least as contrary and inconsistent as type 1. Let’s be honest, there are days when type 1 diabetes can seem to be deliberately out to get you. Some days it just seems to get it into its head to ‘go off on one’ and there is simply no reasoning with it. Confusion and contradiction abound. It doesn’t help that on other days, weeks even, it can seem to be entirely reliable and meekly obedient. Behaving the way the doctors say it should. Ratios and factors all present and correct. It doesn’t even help that of all the chronic conditions, diabetes is one of the most livable-with. 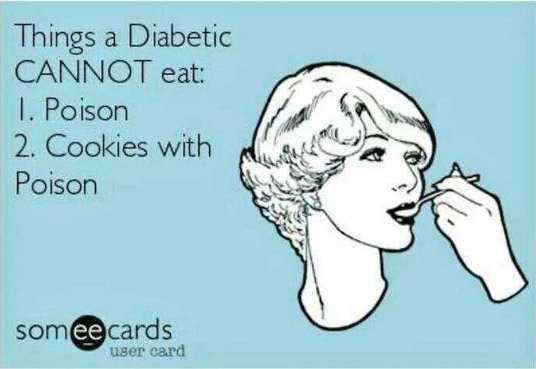 If I was going to have to have a chronic condition, diabetes would be pretty high up the list of ones I’d choose. I can remember comments I got from friends and colleagues in the years soon after diagnosis, “Oooh, I could NEVER inject myself! I don’t know how you can...” – as if that were the hard part! The injections, the testing, the clinic appointments… These are all minor inconveniences. Even carb counting is easy enough and becomes second nature after a short while. The really tricky thing about living with diabetes is the number of variables involved in the day-to-day running of things – and all the inter-related connections between them. Whenever my levels go all over the place there always seem to be 101 possible causes, lots of head scratching and false-starts before things settle again. Only to go out of kilter a few weeks later. The body is amazingly good at controlling blood glucose levels. Really, spectacularly good. Most ordinary people wandering about have NO idea of the complex goings-on inside them. The ebb and flow of hormones keeping blood glucose levels within a tiny range no matter what they eat or what they do. It’s only when you suddenly have to start playing at being your own pancreas that you realise how amazing the body is. The difficulty for us, of course, is that the body is SO good, that it’s a pretty tough act to follow. If the body usually kept blood glucose levels somewhere between 2-20mmol/L we’d all be laughing . But there’s a lot to juggle when you are trying to ‘do it yourself’ and live up to the body’s high standards. The grams of carb eaten... The dose of insulin for those carbs... The likely speed of absorption of the carbs... Likewise the likely absorption profile of the insulin. Not to mention the background insulin required to cover output from the liver, or for that matter, the liver suddenly deciding that this hour, or day, or week needs far more (or less) glucose than normal. Activity? Illness? Stress? Ambient temperature? It’s a wonder we ever get a decent level. It’s worth remembering that when you are having a bad week. Playing at being your own pancreas is a big ask. We won’t always have all the information. What worked brilliantly last month won’t necessarily work as well this week (because this week is, of course, slightly different in a million seemingly inconsequential ways). There is never going to be a ‘right’, only ever a ‘right for now’. The best we can do is keep on testing, writing things down, looking for patterns and chasing the moving goalposts. It can also feel like quite a lonely place to be. For perhaps 18 years I lived my diabetic life supported by friends and family, but without really knowing anyone else with diabetes. I’d met only a handful of people with type 1 in my life, and stumbled across a few more with type 2, but none of their experiences seemed to relate to a diabetes that was anything like mine. After a while the suggestions and comments from my clinic team were all very well, but they didn’t seem to fit with what I was experiencing – or worse still, were things I’d already tried and knew didn’t work for me. I was having a few too many highs, a few too many lows (but then doesn’t everyone?). My HbA1c was OK-ish. I didn’t seem to be frying my eyes too rapidly. I supposed I convinced myself that this was as good as could be expected. But then a few years back I had an unusually nasty hypo (long story, short trip to A&E). Suddenly my understanding changed. Good enough was no longer good enough. 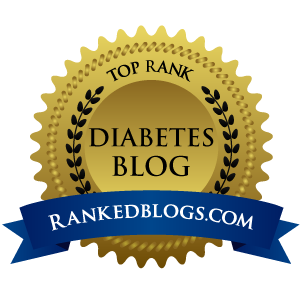 We began to write this blog as a family, to begin to think about diabetes in a slightly more ‘front of mind’ way. I began testing far more frequently, writing everything down, looking for patterns. I began to look around for other people to compare notes with. 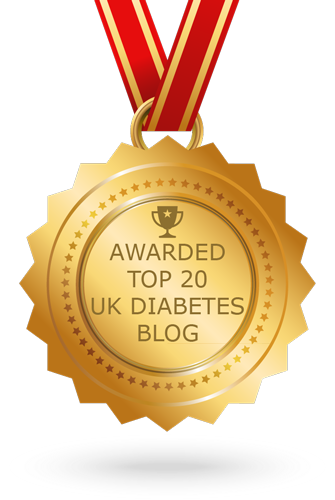 Found and read some amazing blogs written by people with diabetes from all over the world. Joined forums where I could ask questions, read experiences, or just generally rant and moan about the silliness of it all. There is nothing like making connections with other people who instantly ‘get it’. There is no question you can ask that will be considered too silly or too obvious. There is nothing like reading a post written by someone on the other side of the world who is able to express exactly how you feel about a shared experience. There is nothing like sharing one of your experiences, only to give someone else a ‘lightbulb moment’ over something they have been struggling with for years. There is nothing like sitting around a table at a social event and having everyone pull out a BG meter before eating. Making connections gives you access to the latest thinking and approaches from clinics all around the country (or all over the world). Making connections makes you feel less alone. Making connections makes diabetes easier to live with. There are hundreds of people all over the world (and just around the corner) who know what it’s like to face what you are facing every day. Who can encourage you and support you. Who can make your diabetes easier to manage. Go and make some connections of your own.